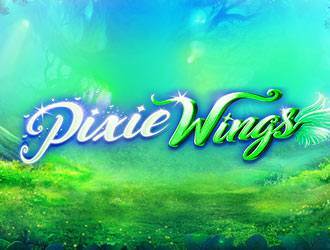 The Pixie Wings slot is made by Pragmatic Play and the name itself lets players know what the theme is all about- pixies, and captivating ones at that! On offer are eye-catching graphics, a free spins bonus and a stacked wild feature. A Pixie Wings It Home! The Pixie Wings slot is set in a forest and is about the winged, tricky magical beings that are said to inhabit them. It can be played on any device with internet connectivity and comes with 5 reels, as well as 50 paylines. 50p and ₤250 mark the minimum and maximum bets per spin respectively and there’s quite a generous dollop of symbols on the reels. Playing card values are present, as are such high-value icons as well-formed, and an outlandishly dressed quartet of pixies made up of a prince, princess, king and queen. Of the above icons, the most lucrative is the pixie king and is worth 75 coins when players get five of it arrayed across a payline. All the featured icons can land on the reels in a fully stacked format and thus trigger big wins. A wild icon is supported in the Pixie Wings slot. This icon replaces all others save for the scatter when forming wins and pays out 500 coins when players get 5 of it landed on any active payline. 5 free spins with the King icon being super stacked. 7 free spins with the Queen icon being super stacked. 9 free spins with the Princess icon being super stacked. 11 free spins with the Prince icon being super stacked. Instead of the above, players can choose a random mode where between 3 to 12 free spins are available. The super stack in this random mode features any of the pixie quartets and by landing an extra scatter icon a re-spin is triggered.